How Long will the surgery take? In general, surgery takes between 1 hour and 1 hour 15 minutes. This depends on multiple factors, including your anatomy, amount of muscle, and adipose tissue around the hip joint. This includes the anaesthetic time. What is a spinal anaesthetic? A spinal anaesthetic is a regional technique where agents are placed next to the spinal cord to make the legs anaesthetised. Depending on your wishes, you can either be fully awake, sedated, or put to sleep on top of this. Spinal anaesthetics have the advantage of decreasing your risk of blood clots and bleeding, and improves post operative pain relief. There are other factors that may change whether or not a spinal anaesthetic is suitable for you. Why is the direct anterior approach used? The best approach is the one your surgeon is most familiar with. Dr Chien-Wen Liew is fellowship trained in the direct anterior approach for total hip replacement surgery, as well as the posterior and lateral approaches. He chooses to use the direct anterior approach for all total hip replacement surgery as he feels that the benefits are significant. When can I walk after the operation? The best way to determine if you can walk after is by moving your legs. Once you have regained your quadriceps control, you can get up with the help of the nurses or physiotherapists and start walking. This can be within hours after your operation. In general, most patients stand and take a few steps a few hours after surgery is complete. Do I need a drain? Dr Chien-Wen Liew performs his hip replacements via the direct anterior approach and sometimes uses a wound drain to decrease bruising around the hip joint. This decreases the haematoma under the skin, which have benefits for pain control, decreasing leg swelling. The drain is only placed in your wound for approximately 24 hours post operatively. What modalities are used for minimising blood clot risks? The main benefit of quicker recovery is that you are up and walking very early, which minimises blood clot risks. In addition to this, you will have white compression socks on (2 weeks). Foot pumps which simulate walking are used after your surgery and you will be placed onto twice daily Aspirin for 4 weeks. If you cannot take Aspirin, alternatives such as Clexane or another anti-coagulant can be used. We modify the plan based on each persons risks to ensure the best outcomes are achieved in each individual patient. What pain medications will I receive post operatively? 95% of patients will not require any injectable agents post operatively for pain relief. Almost all patients will only require regular panadol, and a tablet for breakthrough pain relief. By the 2 week mark, you should either not be taking any pain relief, or taking Panadol only. This is dependent on what pain relief you were taking before surgery, as this impacts greatly on what pain relief you will need after. In general, the more pain relief you require before surgery, the more you require after surgery. When can I go home after surgery? This depends on your discussion with Dr Chien-Wen Liew pre-operatively. Normally patients stay in for 3 or 4 days. If you are operated on a Tuesday, you will go home on friday. If you are operated on Thursday, you will go home on Sunday. This is highly flexible. Patients may be allocated to fast stream, which allows you to return home the next day after surgery or at day 2. There is no rush for discharge, however once you are safe mobilising, you can be discharged home. Will I require rehabilitation at a rehab centre post op? In general no. 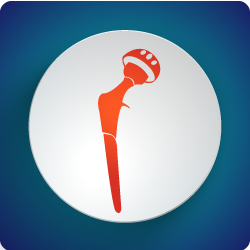 Most patients go directly home after their total hip replacement surgery. When can I wet the wound? At the time of your surgery, several layers are placed over your wound to create a water tight seal – this prevents water from getting in, however regular showering with water directly hitting the wound is not recommended. Whilst a waterproof dressing is placed over your wound, this will allow water under the dressing after repeated soaking, so it is preferable that you keep your wound mostly dry until your first review at the 2-3 week mark. At this point, a small hypafix dressing is placed, which you are allowed to get wet. This remains on until it falls off, which is usually 5-7 days. When can I start hydrotherapy? Hydrotherapy is not required after a total hip replacement but can be helpful for some patients. Dr Liew allows hydrotherapy 1 month post operatively – this is to allow a safe period of time for your wound to heal before soaking it in a public pool. When can I drive? Whilst you may feel able to drive, you will be restricted from driving for 2 weeks, until your first review with Dr Liew. If deemed suitable then, you will be cleared to drive at your 2 week appointment. 80% of patients will achieve the ability to drive at the 2-3 week mark post operatively. When can I fly? For our patients from interstate – once you are discharged from hospital and walking well with a stick, you are allowed to fly home. In general this is 5-7 days post operatively. For longer flights (international), we recommend waiting until your blood clot risk is minimal, which is at the 4 week post operative mark. If in doubt, speak to Dr Liew for further information regarding your upcoming travel post operatively. What activities can I perform long term? There are no real restrictions after your total hip replacement performed via a direct anterior approach, however you should refrain from impact activities such as running, jumping, and extreme sports such as skydiving, and water skiing. You are allowed to snow ski, swim, cycling, go to the gym, skip, and hike. What are my long term movement restrictions? There are no long term movement restrictions. You are allowed to move as you like, sleep as you like, and perform almost all activities except impact activities. The rate of dislocation is very low, and as such, you will not require a toilet seat raise, or other seat raise, even from immediately after your operation. 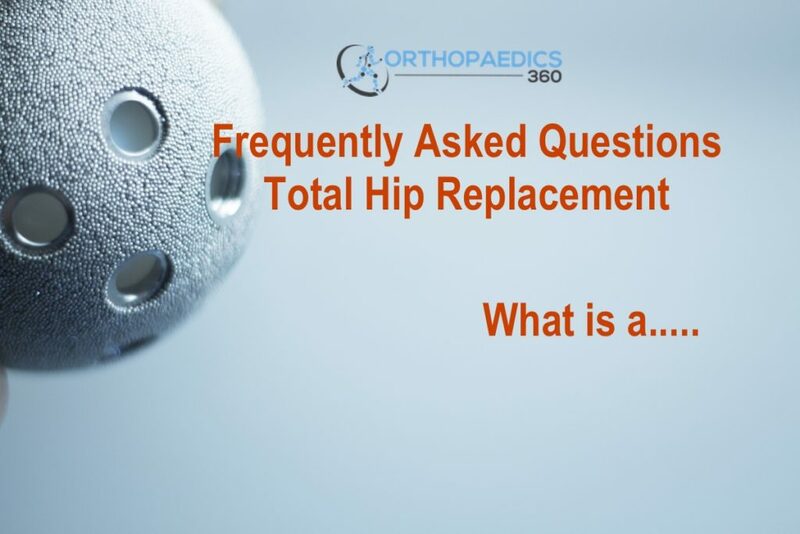 How long will I be followed up after my total hip replacement? Dr Liew will follow up your hip replacement surgery personally for 1 year. This is to ensure that any issues that arise are picked up early. In general, your reviews are at 2 weeks, 3 months and 1 year after surgery. We have constant contact with you via our unique patient based app (currently in development). Hip replacements are lasting longer and longer with newer technologies, and as such, any issues picked up early can prevent longer term issues. Sometimes a smaller revision operation can be performed early rather than a larger one at a later stage. After your 1 year review, you have generally achieved a “forgotten hip” – you are then advised to obtain an X-ray at some point 10-15 years after your hip replacement to send to Dr Liew’s clinic for review.